Went to the doc on Monday, Dec. 17, five days after my bone spur was removed. He went through what they did, showed me the before and after images from the scope camera. He then talked about the tendon damage I had. On the left is my jagged, nasty bone spur. On the right is the smoothed out, yet raw, bone. When he injected the enriched plasma, he could see the tendon puff up. A normal, healthy tendon would be too solid to puff up like that. This indicated that I had internal shearing damage to my tendon, in the back of the socket. 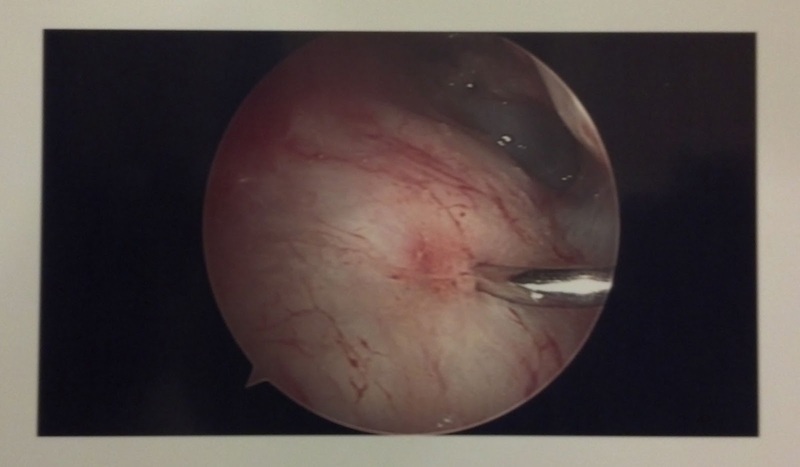 This is the tendon post injection. Notice how poofy it kinda looks? He also showed on my MRI how my right and left tendons are basically symmetrical in location and extent of damage. 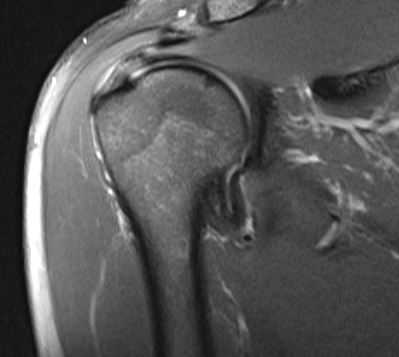 Left Shoulder: Notice how the tendon on top of the humerus is dark? That means the tendon is solid. 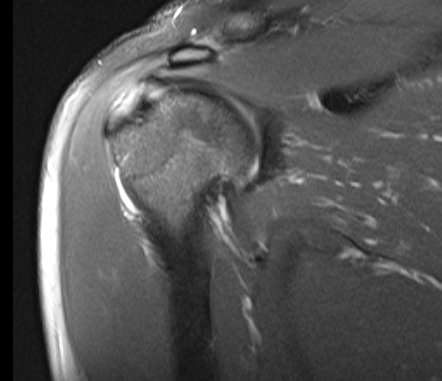 Left Shoulder: A more posterior image, and now the tendon is light? That means water is in the tendon, indicating damage. This damage is indicative of over development of delts and pecs with a lack of support and control around the shoulder blades. This happens because (1) humans are never perfect or symmetrical and any sort of athletic endeavor will showcase these imperfections and (2) poor mechanical coaching and technique correction means the imbalances continue to build up and increase the resulting impingement. Can you tell how I'm also catching it "high" in my shoulders and delts, rather than supporting it through the skeleton. Active shoulders shouldn't mean pushing up through the delts, but supporting your shoulders in the back, around the scapula. No wonder I couldn't catch in a full squat. 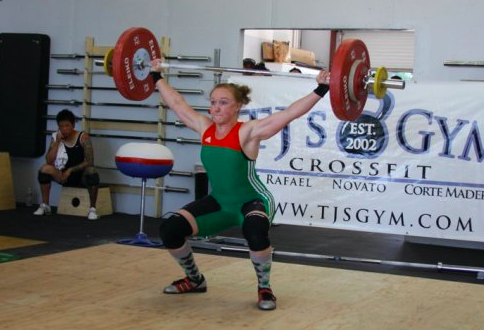 Everything about my lifts back in the day screamed "forward!" Also notice my knees rolling in. But whatever. So to sum it up, I spent my genetics on poor lifting form. 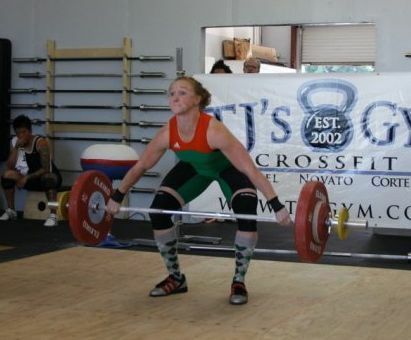 I lifted poorly. Got muscle strong faster than my tendons and ligaments could keep up with (that's some other damage my doc pointed out). And never took the time, even after correcting my lifting form, to back off and fix my muscular imbalances. These imbalances will continue to cause issues in the same fashion, irregardless of technique, because I've let it go so far. So this physical therapy will definitely be part of the reset button for me. And hopefully a warning sign for the rest of you who have a "did I make the lift/ did I not make the lift" mentality.